An unexpected but very timely initiative is taking shape at University of Pune, India. In the year 2014 the start will be made with a Post Graduate Diploma course in Socially Engaged Buddhism over two semesters. Course work will include short essays, book reviews, field work, research projects and a meditation retreat. The major initiators of the course are Prof. Mahesh A. Deokar, Head of the Pali Department, Dhammachari Lokamitra and Mangesh Dahiwale. The inauguration exchanges were held at the Conference Hall of Pune University and many prominent Buddhist leaders conveyed their congratulations and administered their blessings to this historic step towards strengthening the profile of Socially Engaged Buddhism. 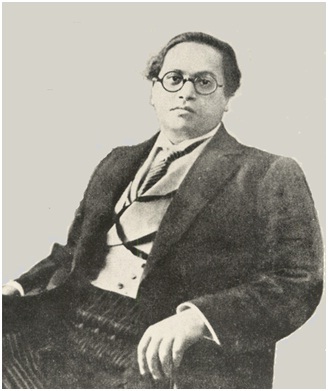 The course will be shaped in the tradition of the teachings of Dr. Babasaheb Ambedkar and will pay due attention to Buddhism in India, Buddhism in countries with Therevada and Mahayana background, as well as Socially Engaged Buddhism in other parts of the world: Europe, America, Africa and Latin America. Mangesh Dahiwale opened the discussions emphasizing the importance of Dr. Ambedkar’s guidance on applying Buddhist principles to contemporary governance challenges. Dhammachari Lokamitra pictured the transition from Buddhism as ‘world denial’ to a practice that integrates transformation of self with transformation of the world. Buddhism is a strong force supporting the emancipation of large sections of Indian society. Prof. Mahesh Deokar provided an overview of the course in socially engaged Buddhism and invited participants to contribute to making the course a success. Ven. Sanghasena from Ladakh was the first speaker to congratulate the pioneers of the course. His powerful speech was followed by presentations of Buddhist monks and laypersons practicing socially engaged Buddhism in various parts of India. Interesting initiatives and observations were reported from Tamil Nadu by Gautam Prabhu. Buddhism had been prominent in the past in Tamil Nadu and “Tamil Buddhism” is revitalizing. The second important factor impacting society, after the cast system, is the economic dominance exerted by modern industrial elites. Lawyer Naresh Mathur presented developments at Deer Park Institute in Bir, the extreme North of India. He also pointed at the importance of the Mind and Life Institute as a platform for renewing Buddhism by dialogue with modern science. Art should be an integral element of socially engaged Buddhism. Ven. Sonam Puntsok reported on the promotion of organic agriculture and dignified rural livelihood in a programme in Bhutan, initiated by his teacher and the founder of Deer Park, Ven. Dzongsar Jamyang Khyentse. The inauguration conference was blessed with a visit of Ven. – for the Indians “Guruji” –Arayawangso, a well-known Thai Vipassana teacher based in Mumbai, and a pioneering supporter of the Pali Department at Pune University. The Ven. Arayawangso emphasized the importance of this initiative in the tradition of Dr. Ambedkar. He explained that the Dhamma can be found in “normal” understanding of Nature and the development of a “natural path” from this pure understanding of truth. Bhante Kalupahana from Sri Lanka explained that political engagement can lead to extremism: active engagement and rigorous detachment should go hand in hand. The new Director of the Tibet House in New Delhi, Prof. Geshe Damdul illustrated how social engagement took shape in Tibet across history and how it evolved according to the challenges of the time. At present Tibet is caught in a culture of fear. Monastics are at the forefront of spontaneous uprisings, always followed by total suppression. “Implementation” of social goals should be approached as a “life-long retreat”. In later sessions the multiple engagement of Buddhism in various fields was reviewed: Buddhism in economics, management, psychology, aesthetics, politics. Dr. Supriya Rai gave lively examples of training business students and her previous work at TATA Motors. On behalf of the INEB working group on Buddhist Economics I proposed INEB could organize a workshop as part of the future course with the involvement of the growing group of resource persons – practitioners, researchers, policy makers – on “mindful” economics that are increasingly connecting through the network.